Summer in Washington is finally here. We have been celebrating with lots of warm weather here in the Pacific Northwest. Our properties are celebrating too. Here is our weekly roundup of property updates! We have been out and about on Capitol Hill! Checkout one of Capitol Hill’s best happy hour spots: The Saint – read the full post here. In Kirkland, we celebrated the 4th of July with a parade! Read the full post here. We are welcoming a number of new neighbors to University Village. See who has moved to the neighborhood here. We are playing tourist in the city of Seattle. 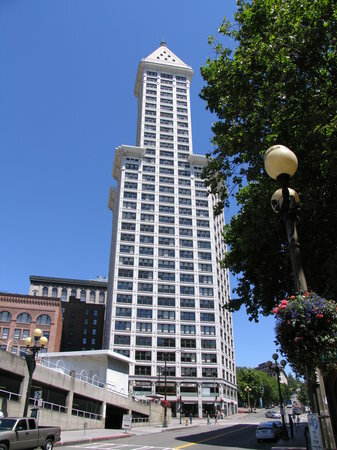 Checkout the view of our neighbor, Smith Tower. How are you spending your summer? Tell us your favorite PNW activities in the comments below. This entry was posted in Uncategorized on July 17, 2013 by Pillar Properties.